Since the first hand-held vacuum was introduced in 1984, the Dirt Devil brand has continued to develop clever floor care products that recognize consumers’ needs and solve their cleaning challenges. Included in its comprehensive line of products are full-size, hand-held, bagged and cyclonic upright and canister, carpet cleaners and hard-floor cleaners. I generously received the Dirt Devil Power Flex 2-in-1. This vacuum has the flexibility of a hand vac and stick vac in one easy to use product. As a stick vac, the motorized brushroll and the swivel nozzle give you greater maneuverability over carpets and bare floors. The hand vac, with integrated crevice tool, lets you clean hard to reach places. Cyclonic filtration keeps you cleaning with sustained suction. 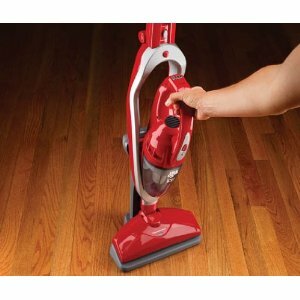 When I first saw this 2-1 vacuum from Dirt Devil, I thought it looked great for doing our steep stairs. Besides that, I didn't think much about it. 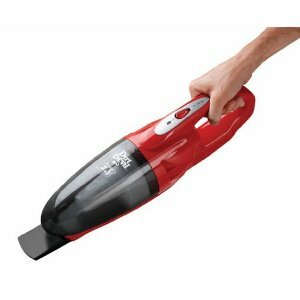 There are just so many great features about this Dirt Devil Power Flex 2-1 vacuum that I love and don't know how I lived without! 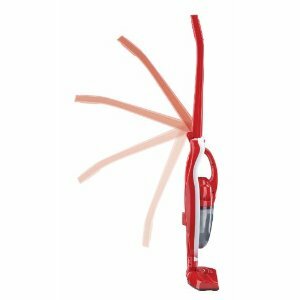 Second of all, the stick vac is great for our bare floor kitchen and dining room and cleaning after my son's many crumbs after every meal! I just grab this super lightweight vacuum from its charging station (I never have to worry about a pesky cord or finding an outlet!!) and easily vacuum up every mess! I barely feel like I am even holding the vacuum or have to even push it around! 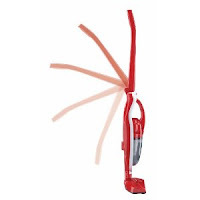 It is the easiest vacuum (hands down) to push around and use that I have ever used! The best part is that it is two vacuums in one and allows to me easily grab the hand vac and get the little corners I could never get with ANY vacuum or cleaning tool and also do our steep stairs with ease and No Sweat!! No more lugging our heavy vacuum up the stairs, balancing it on the stairs and finding the right attachments each time. I now can just grab the hand vac from my Power Flex 2-1 and away I go! Let's just say, I used to hate vacuuming because I hated pushing around our old bulky, heavy vacuum and tripping over the pesky cord. Now I actually LOVE to vacuum with our new Dirt Devil Power Flex 2-1 because it is so easy to use, convenient and powerful! Buy It: You can purchase the Dirt Devil Power Flex 2-1 vac for $49.99 on the Dirt Devil website and also at local retailers. Thanks for the review. Flex 2-in-1 vacuum is really nice.